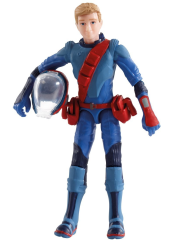 In celebration of the 50th anniversary of the original 1966 television series Thunderbirds comes a new series, and the action figures, vehicles, and play sets to go with it! Thunderbirds Are Go! and the Tracy family is ready for action! 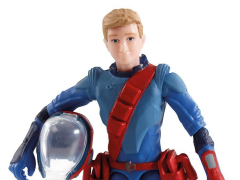 Alan Tracy might be the youngest of the Tracy brothers but he’s a naturally gifted pilot, making him the perfect brother to pilot Thunderbird 3 and to be an astronaut. Like any typical teenager, he loves to sleep almost as much as he loves his job and helping people. This articulated 3.75 inch figure includes a helmet and magnetic panel accessories. When disaster strikes... International Rescue answers the call!